Discussion in 'Lexus Lounge' started by krew, Aug 1, 2017. The ES has a monster month, overall sales are up 7.8%. Any insight into how the IS and GS keep sliding so hard despite recent updates? It's brutal and I also have no idea how ES could secure such a bright spot. On the other hand. SUV's are flying off of the lots! 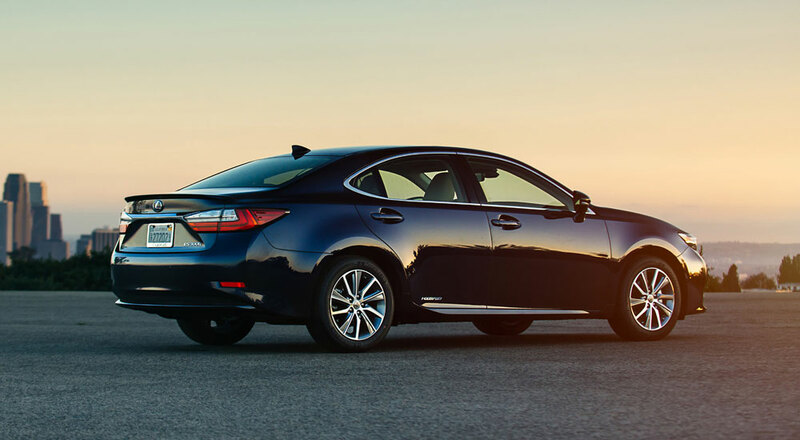 Lexus is saved by the SUV craze, but what consequences can we expect to happen for the cars in the wake of this? Meanwhile, Audi just can't do anything wrong. For how long has their continued growth continued? It's only a matter of time before they grab their 3rd spot. When it comes to Lexus I have a feeling LC is cannibalizing some of the RC sales. Poor RC is in it's third MY and numbers don't look good. I also didn't catch they dropped the 200t naming for RC Turbo which sounds cool but it also tells us that no V6 Turbo will get into it until new generation. As well as that Lexus is in confusion when it comes naming their engine trims now that displacement doesn't play the power role. Updated the post with German Three numbers and Canada sales -- Lexus was #1 in the USA last month! Ian Schmidt, IS-SV and mikeavelli like this. I also didn't catch they dropped the 200t naming for RC Turbo which sounds cool but it also tells us that no V6 Turbo will get into it until new generation. As well as that Lexus is in confusion when it comes naming their engine trims now that displacement doesn't play the power role. I think that's just a transitional thing as Lexus moves to German-style arbitrary numerical equivalencies for their turbocharged models. The Shanghai Auto Show announcement for the NX refresh confirmed the change in nomenclature from 200t to 300, and 2018 model year previews in the print edition of Motor Trend magazine and in Automotive News both confirm a similar change for the IS, RC and GS lines. 1. The RX got too good. It no longer feels subpar to the GS, it feels on par with it, especially in regards to the interior. My wife is a prime example who jumped from her GS F-Sport to a RX F-Sport and won't look back. 2. NX is now here, which hurts the IS if you want a small entry level vehicle. 4. Too fussy styling. I think its a bit much up front now whereas before it was pretty perfect. 5. The 200t just doesn't really perform like a "turbo". And you cannot tune it which hurts it with enthusiasts. The LC starts at twice the price as the RC so I doubt that is hurting it. Coupes usually sell badly after the first year so not surprised at the drop. IS-SV, Ian Schmidt, Gecko and 3 others like this. The ES is its own entity, and its doing well now, surprisingly in a blithering market, which is killing the IS and GS. I surmise that those left wanting a rear drive sedan are just going Euro given all these subsidized leases; the ES is softer and I suppose it's grabbed some of the premium FWD market from the likes of the Impala, Buick and even Avalon; the deals were very good on the ES the past few months. As I've mentioned, my dad put a new ESh in our driveway in late June with a deal way below MSRP. So for that price, anyone wanting a luxo cruiser was going towards the ES. mikeavelli, IS-SV, Joaquin Ruhi and 1 other person like this. The RX got too good. It no longer feels subpar to the GS, it feels on par with it, especially in regards to the interior. My wife is a prime example who jumped from her GS F-Sport to a RX F-Sport and won't look back. I'll agree with that, and add that its former platform-mate ES also feels above its price. I expect the ES's entire segment to have a great next several months as people who pre-paid for a Tesla Model 3 find out that only the $49,000 configuration will be available for the time being. Joaquin Ruhi and mikeavelli like this. Those titles are hilarious....the guy that creates this list has some angle against Lexus (RLX owner lol) thus the NX and RX in the wrong category. It took ages for him to move the IS from the same category as the ILX when even his Honda guys were like "that is wrong". Very surprising ES sales jump. Like they said, bias will always be bias while numbers are always gonna be numbers.